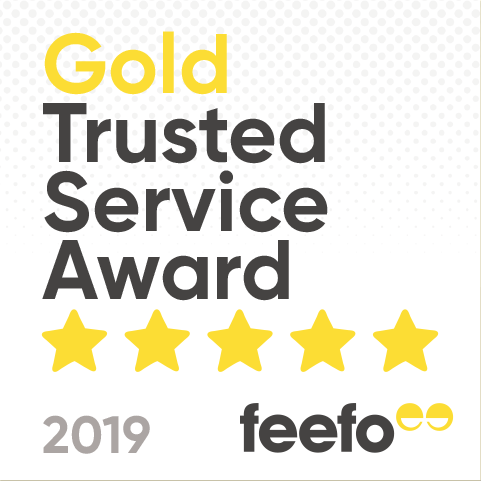 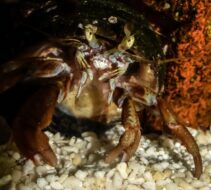 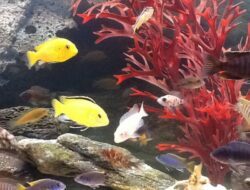 The Fishkeeper Galleries past winners! 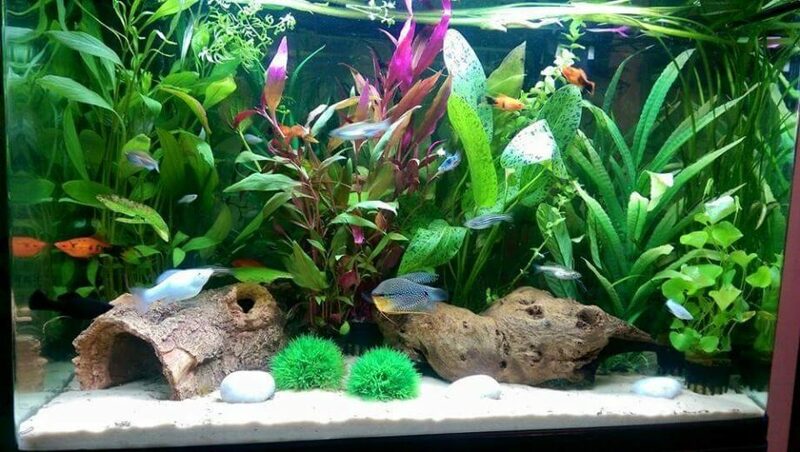 my love of all things aquatic has helped me come up with this simple planted tank with 13 species of plant crammed in to a cube. 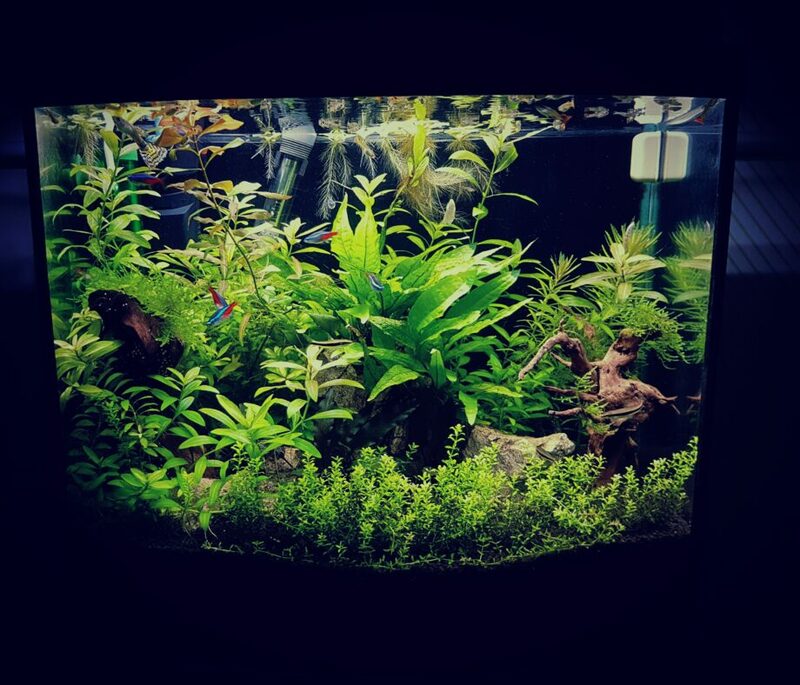 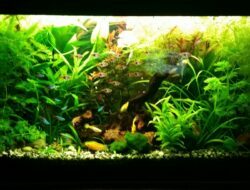 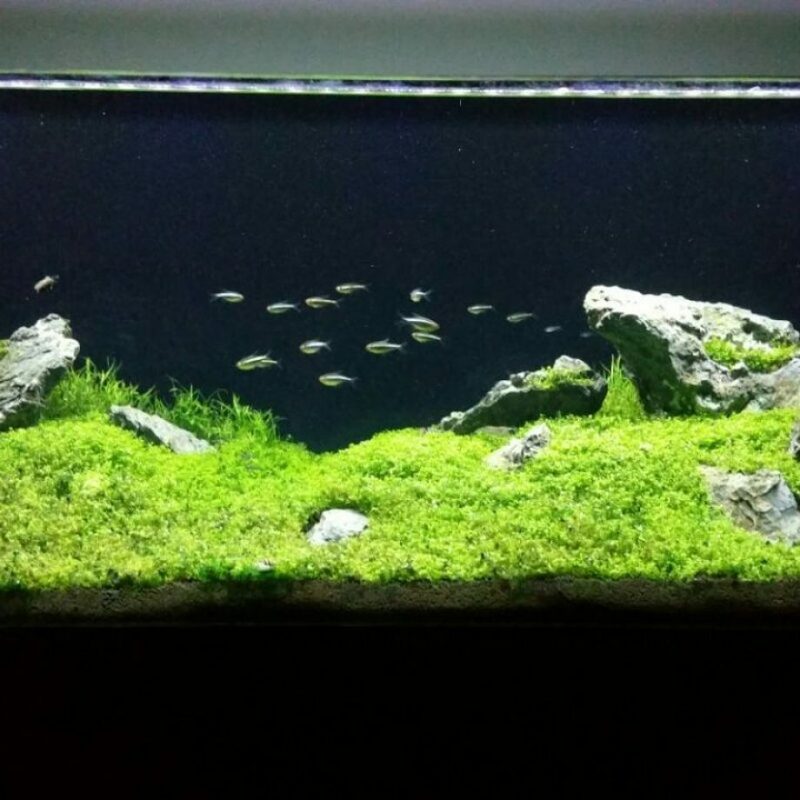 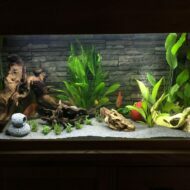 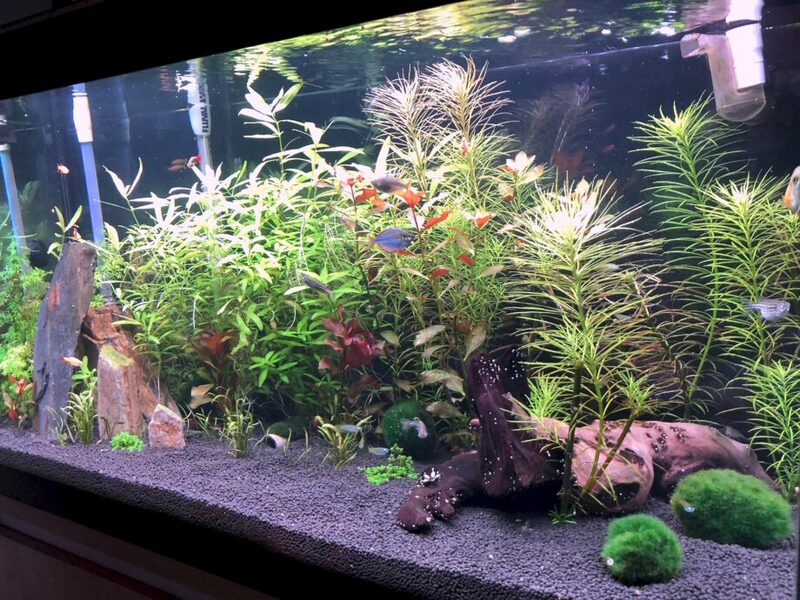 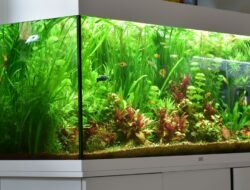 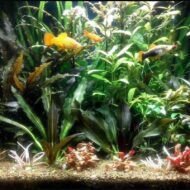 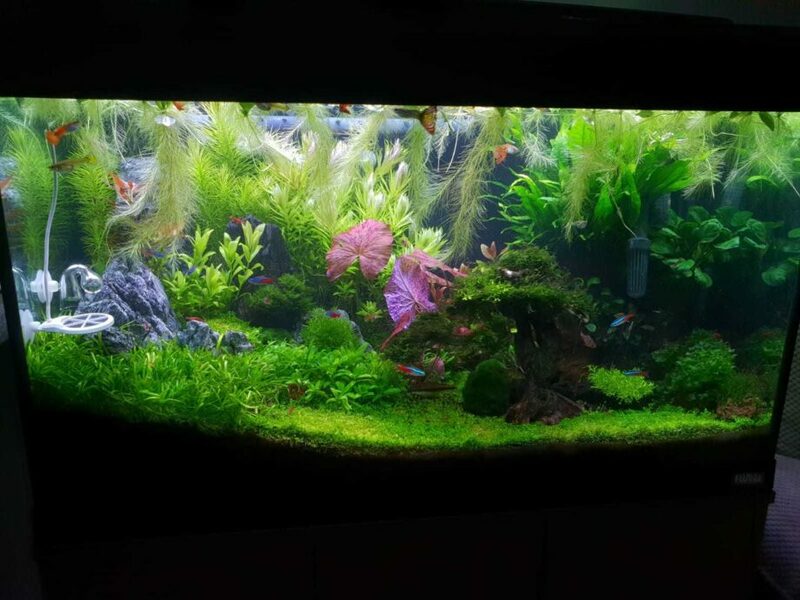 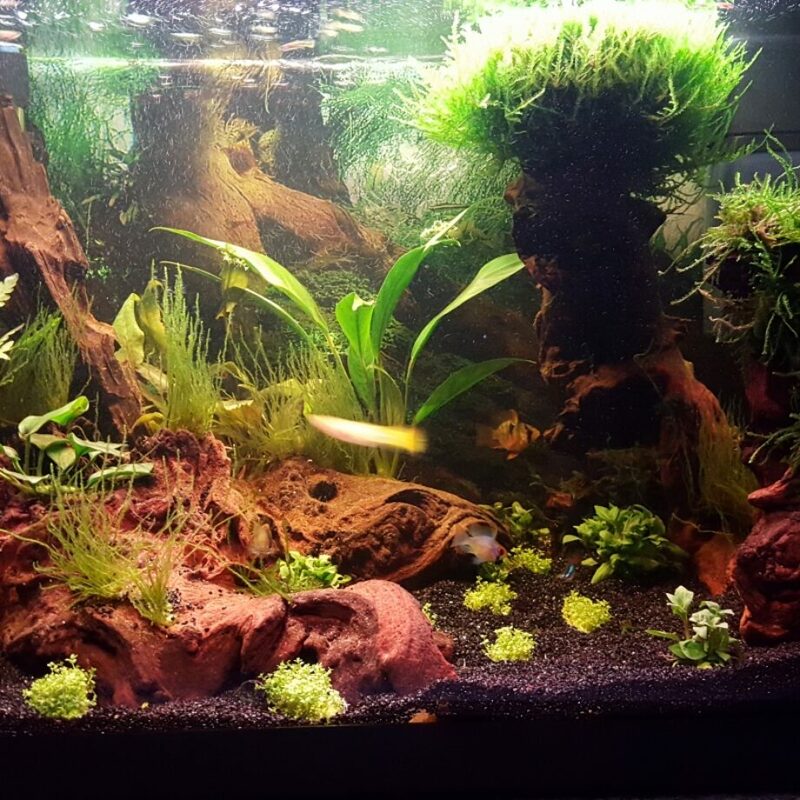 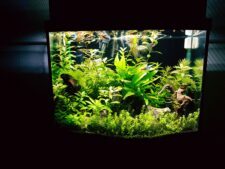 120l Player tropical tank. 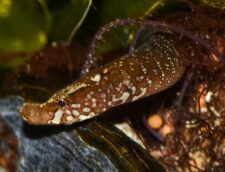 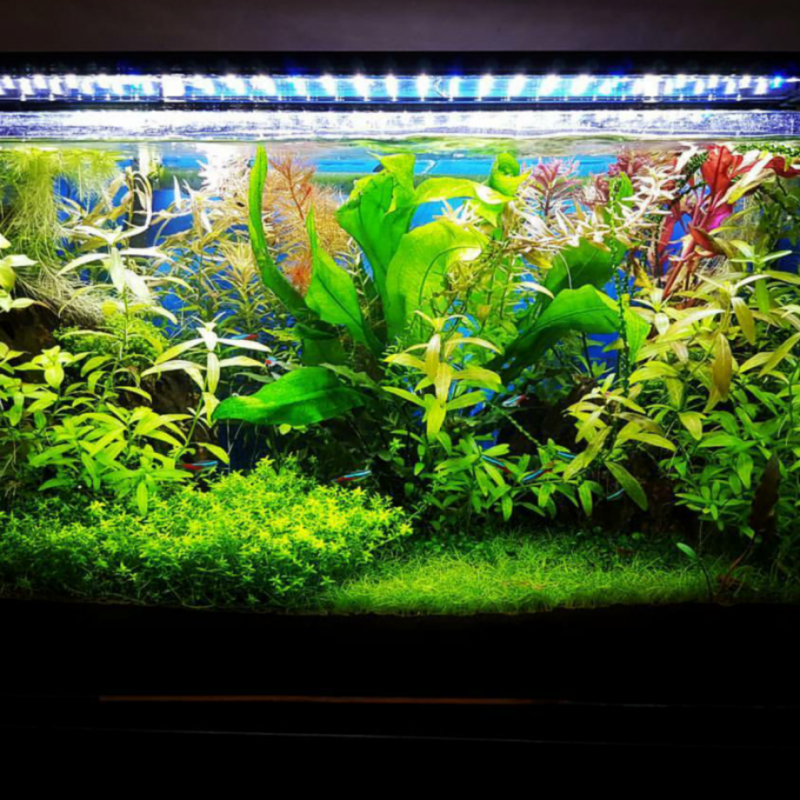 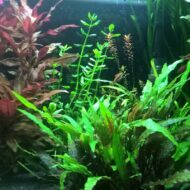 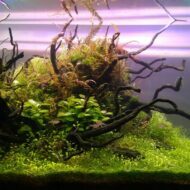 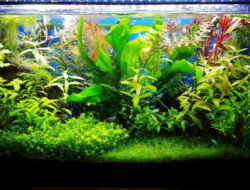 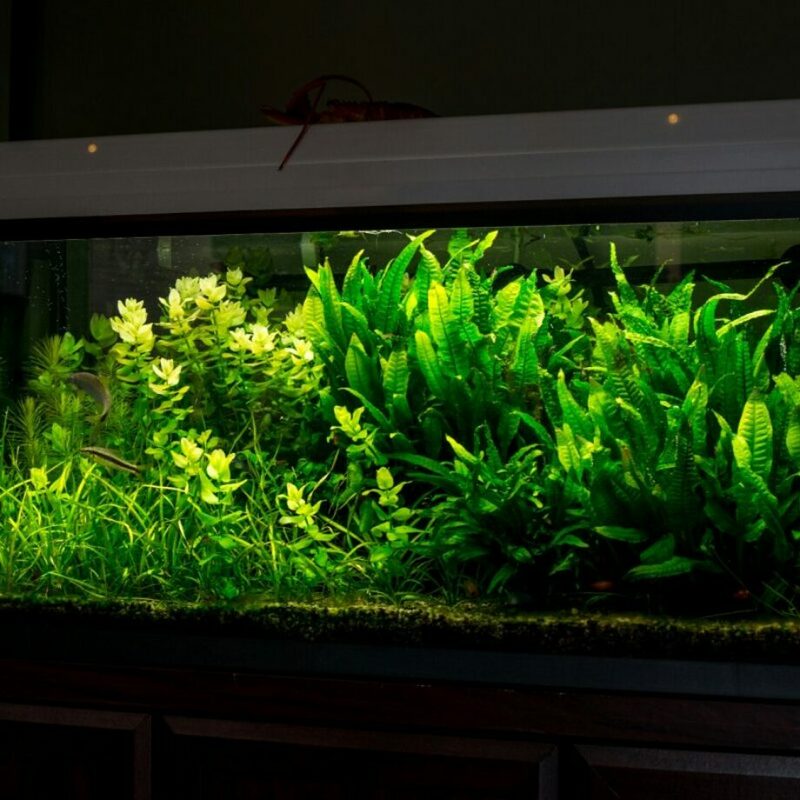 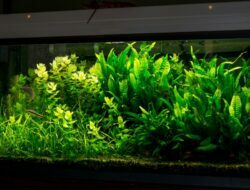 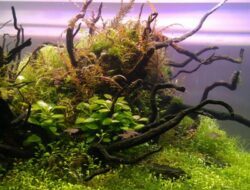 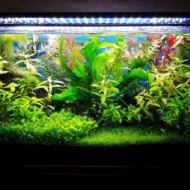 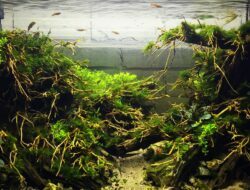 ADA Amazonia soli Power Led Light,co2,plant food...lots of different type of plants mosses and new bucephalandra. 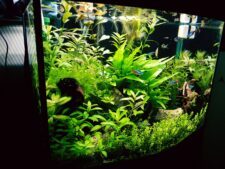 The smaller of my two tanks. 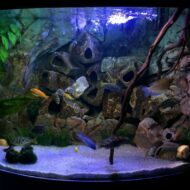 120 litres. 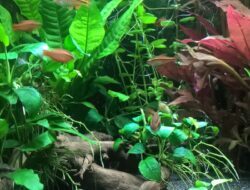 Real and fake plants. 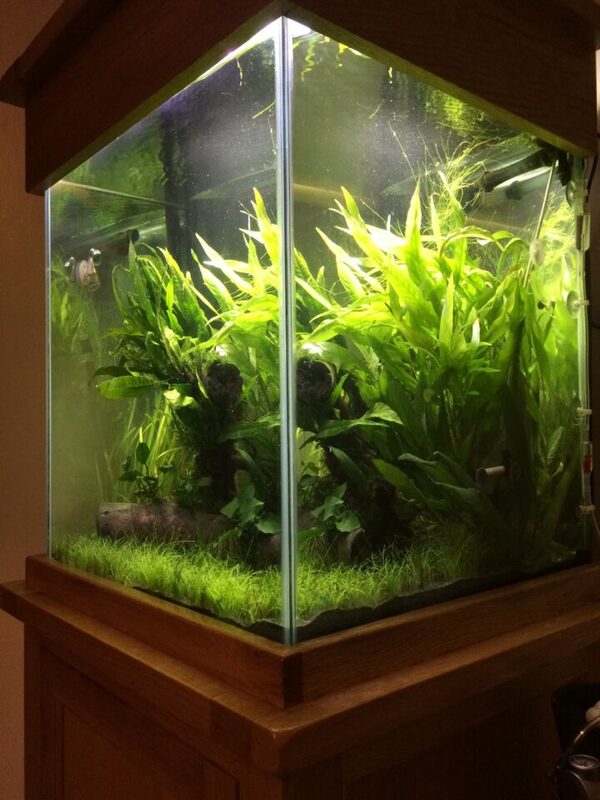 A combination of a jungle theme, island and biotope style. 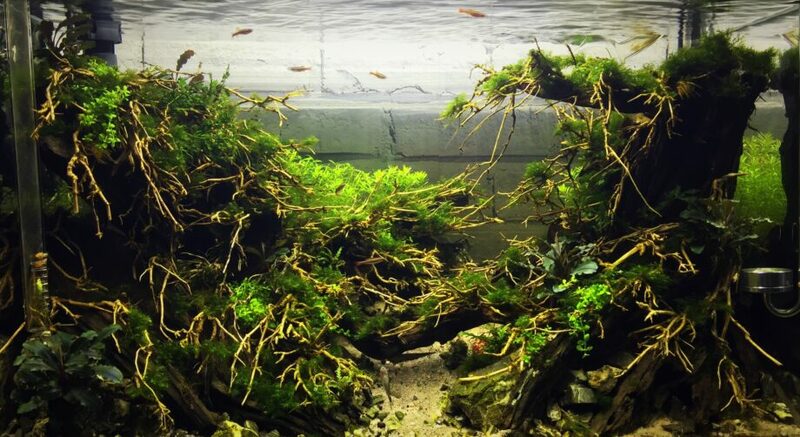 2 Large rootwood & lava rock hardscape islands with a pathway between leading to a shrimp breeding cave. 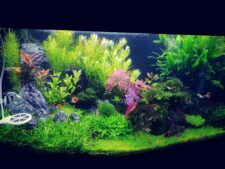 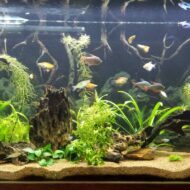 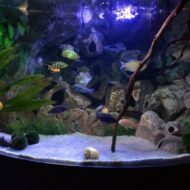 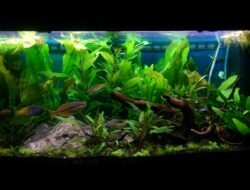 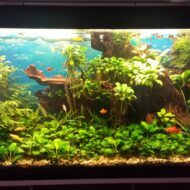 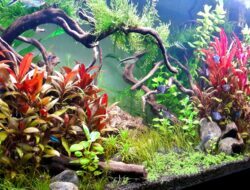 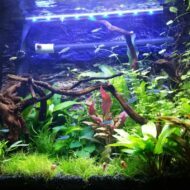 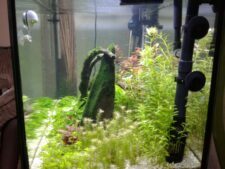 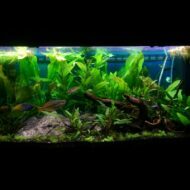 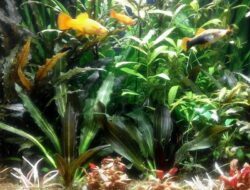 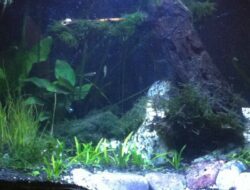 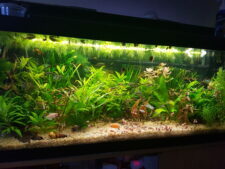 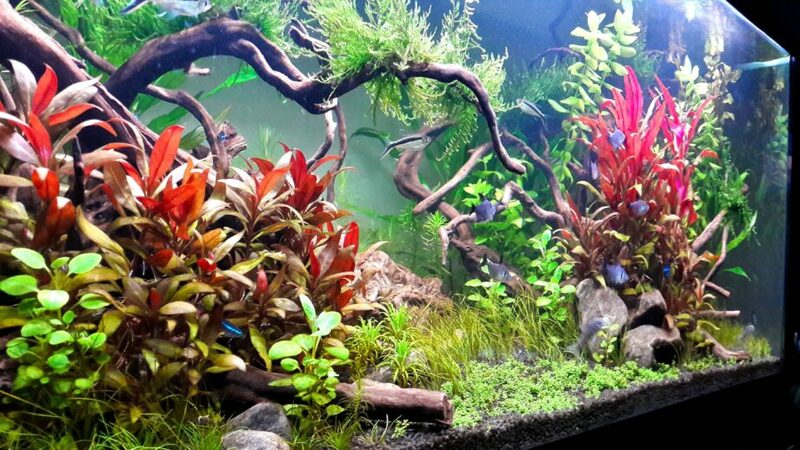 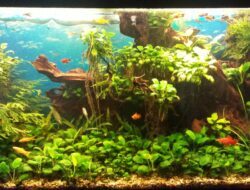 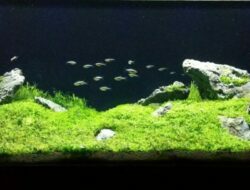 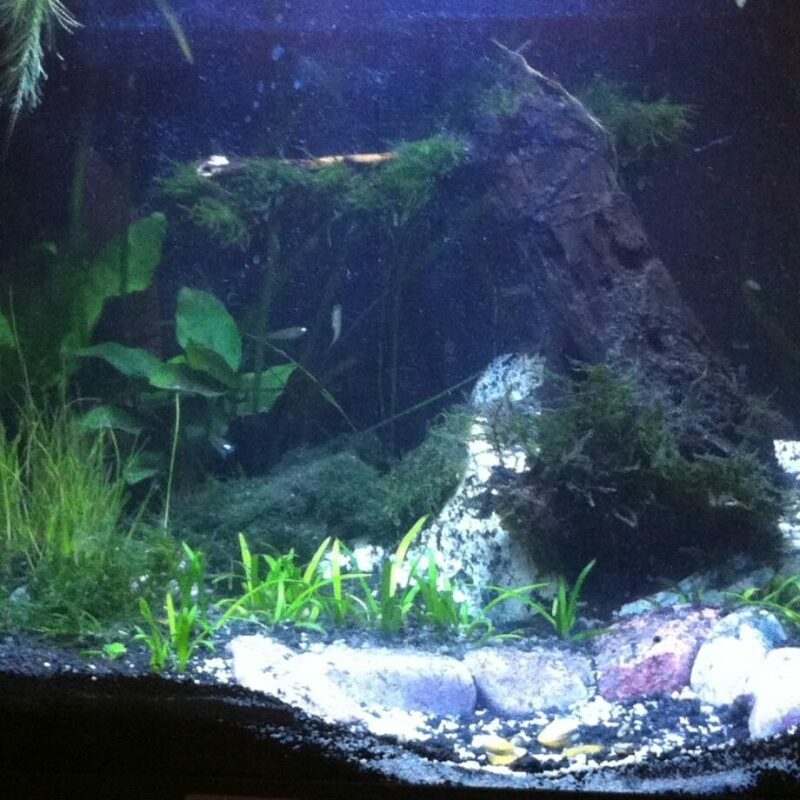 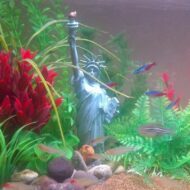 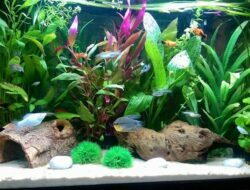 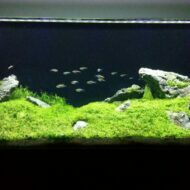 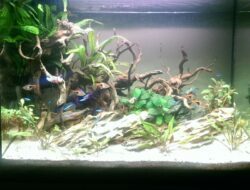 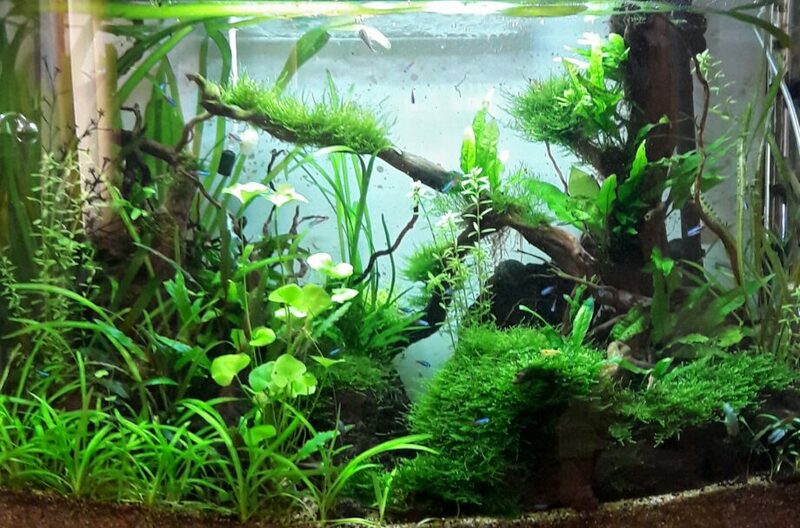 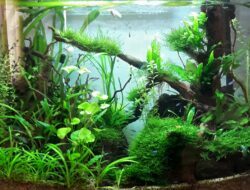 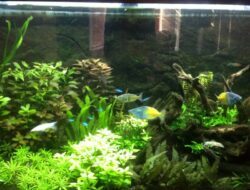 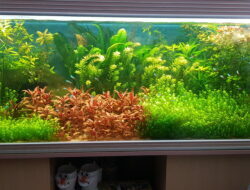 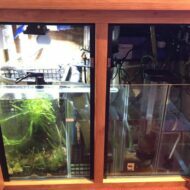 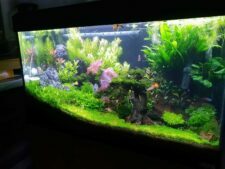 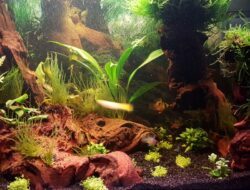 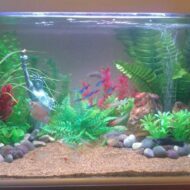 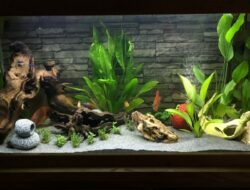 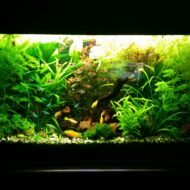 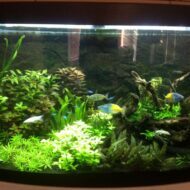 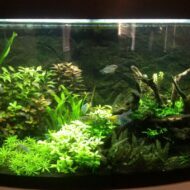 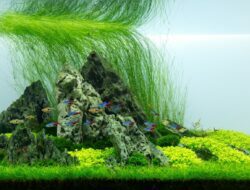 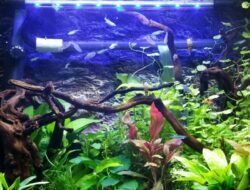 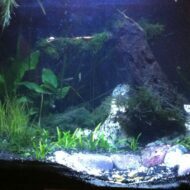 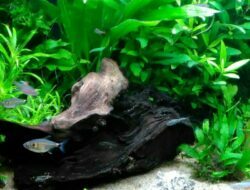 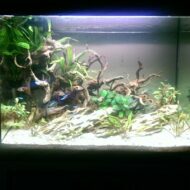 Contains 40+ neon tetras, 3 pearl gouramis, 4 flying foxes, 3 ottos, 80+ shrimp (amano, chrystal reds, cherry reds- all breeding). 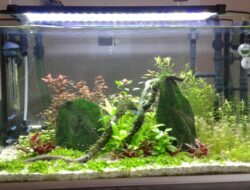 Co2 gas system in place. 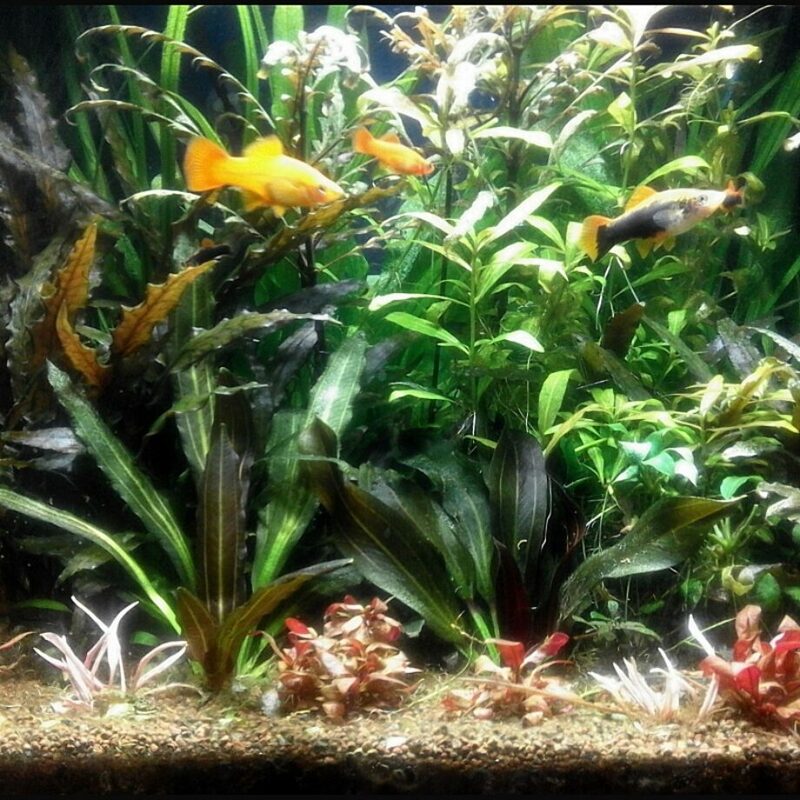 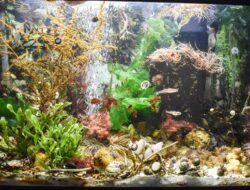 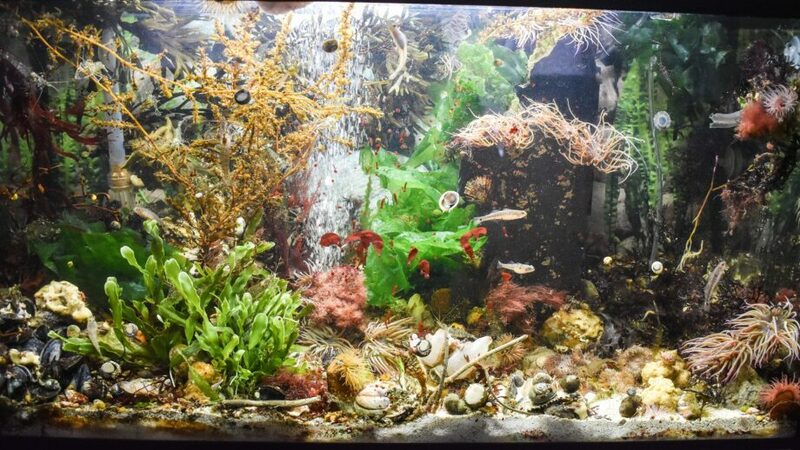 A heavily planted community aquarium. 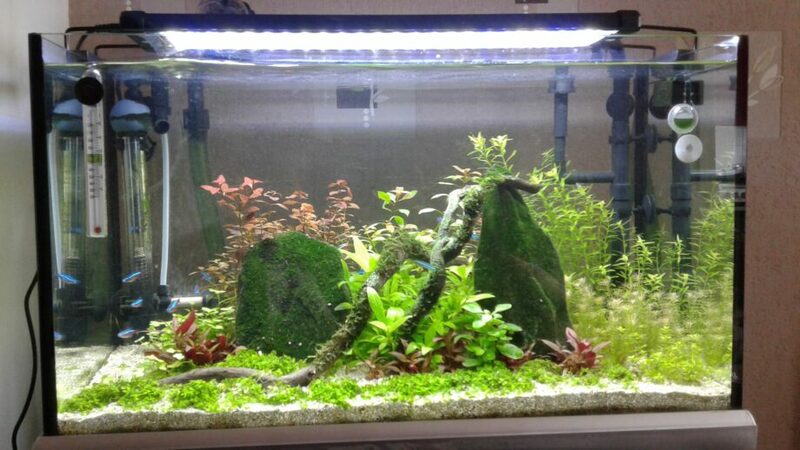 My first attempt at a cherry shrimp tank, planted 60L. 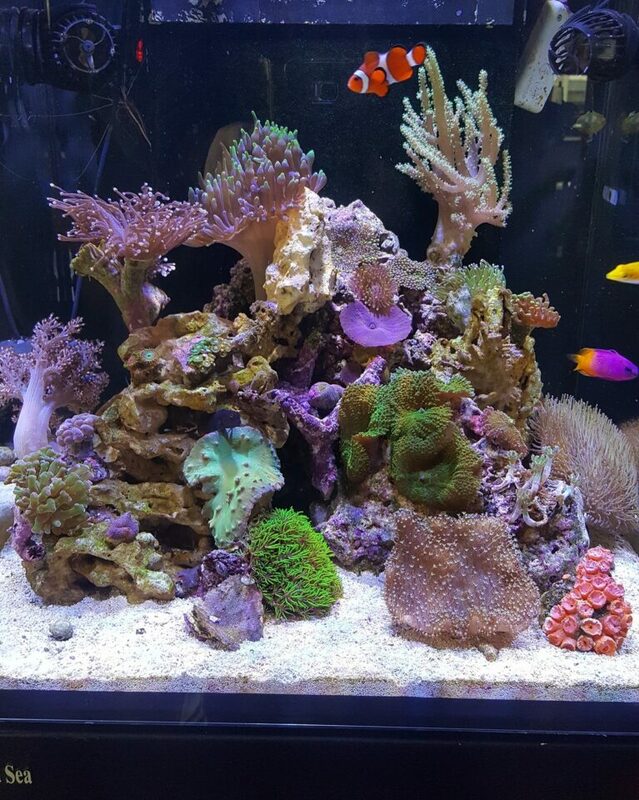 Feel chuffed as most my sps I have grown from tiny frags. 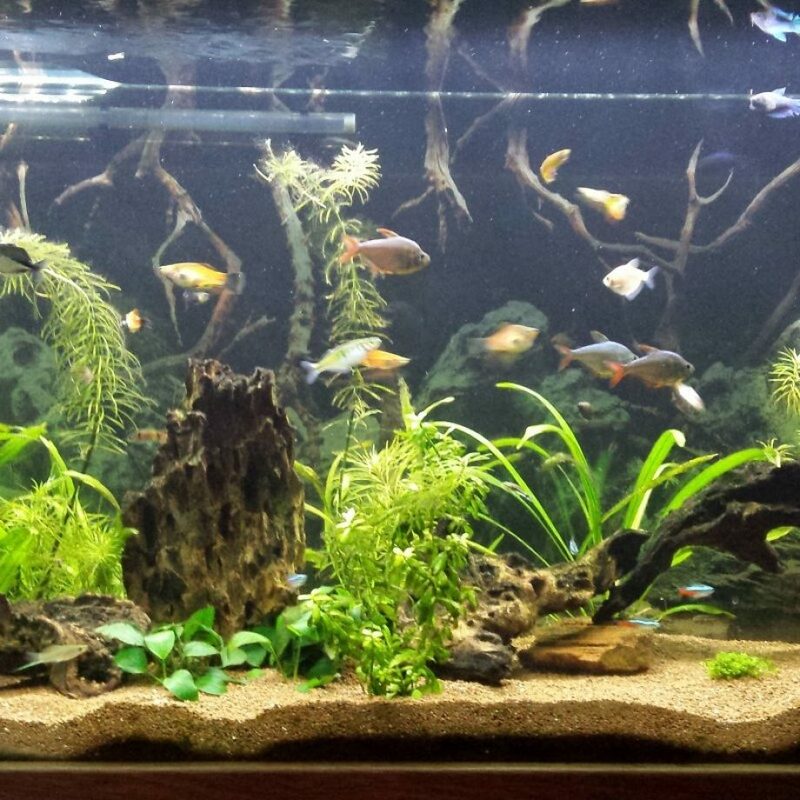 Low maintenance, 200l, planted tank. Juwel 190 Trigon corner tank under moon light. 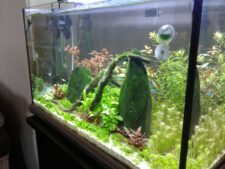 Fluval 240L - External 306 Filter. 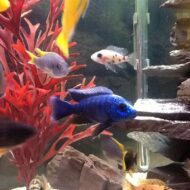 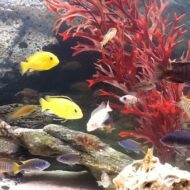 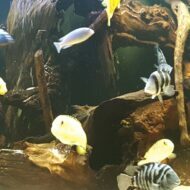 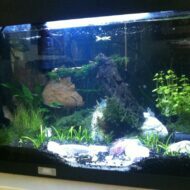 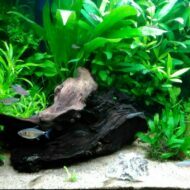 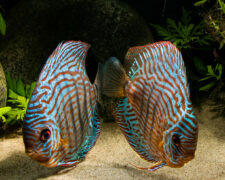 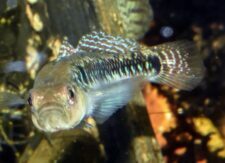 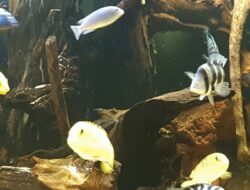 Stocked with a variety of Malawi Cichlids and just waiting for the sought after 'Red Zebras' from Maidenhead Aquatics. 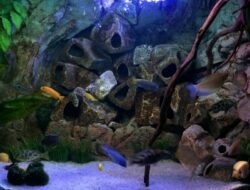 Plenty of rock to mimic the African Malawi Lakes and to maintain water hardness. 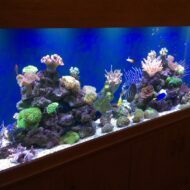 Our autistic boy loves it. 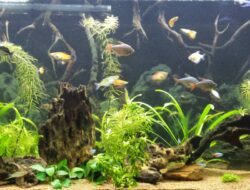 Sumped Aquaoak with a bespoke ordered tank from Maidenhead Aquatics Windsor - Approx 500L Big thanks to the Maidenhead staff @ Windsor, Croydon, Hickstead and Bracknell for the kit and livestock. 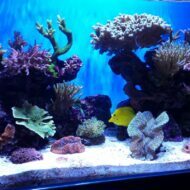 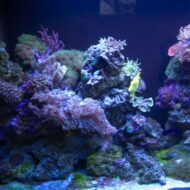 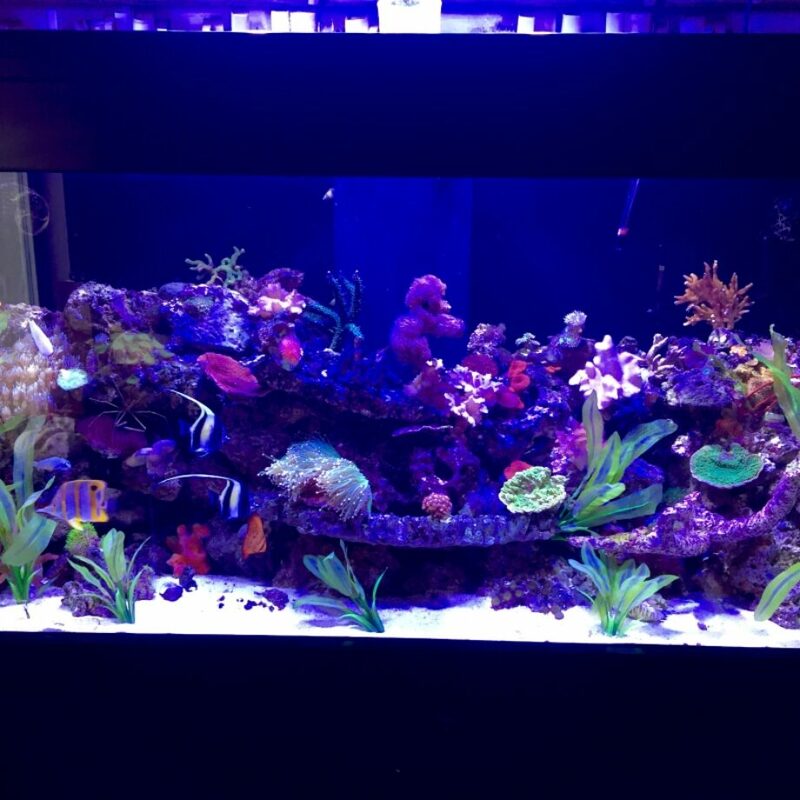 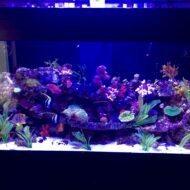 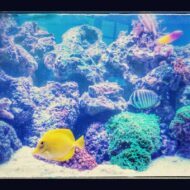 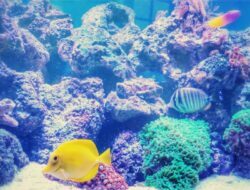 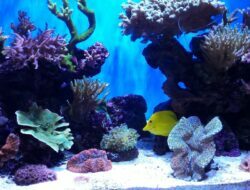 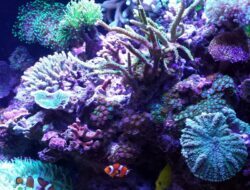 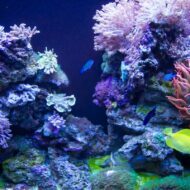 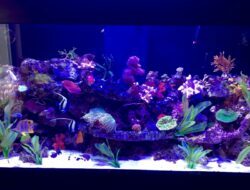 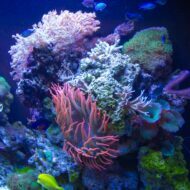 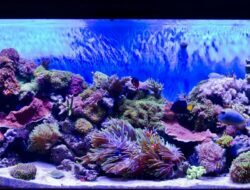 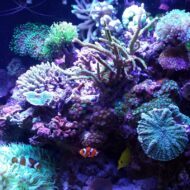 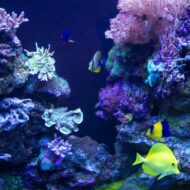 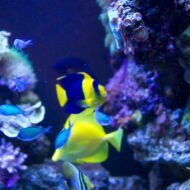 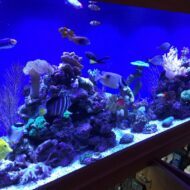 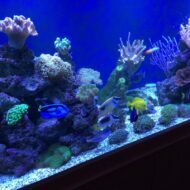 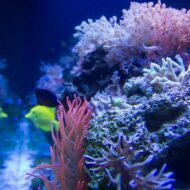 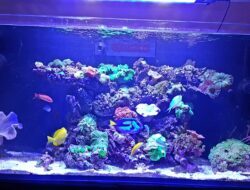 Kit - Vortech, Deltec APF600, Vectron UV, D&D Reactor, ATI Sunpower 6x39, Red Sea Coral Pro Salt Fish - Coral Angel, Bicolor Angel, Yellow Tang, Sailfin Tang, Goby, 8 Chromis, 2 Clowns and some CUC and a Red Bubble Tip Anemone Corals - lots - nearly all from frags in a previous tank - mixed reef of SPS, LPS and good old softies! 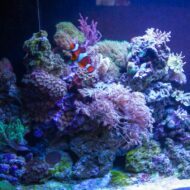 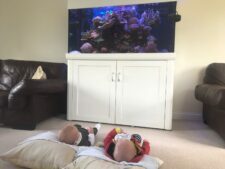 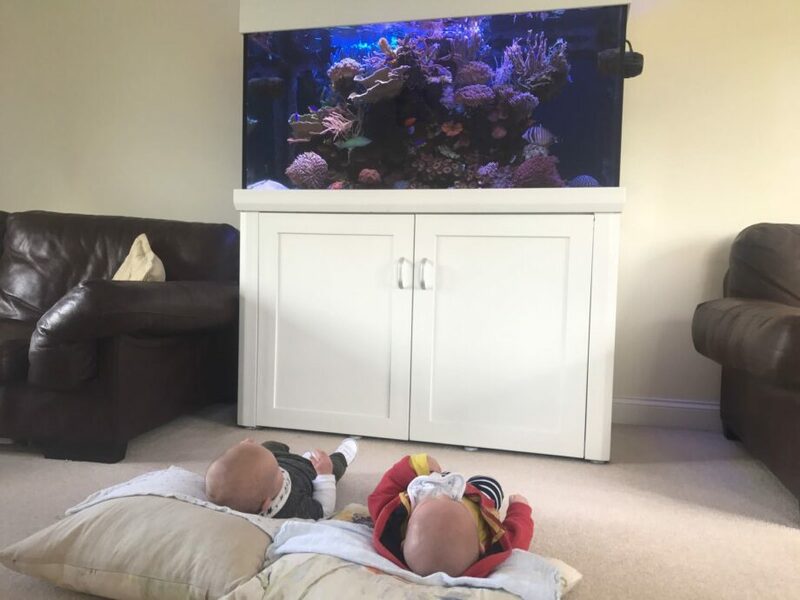 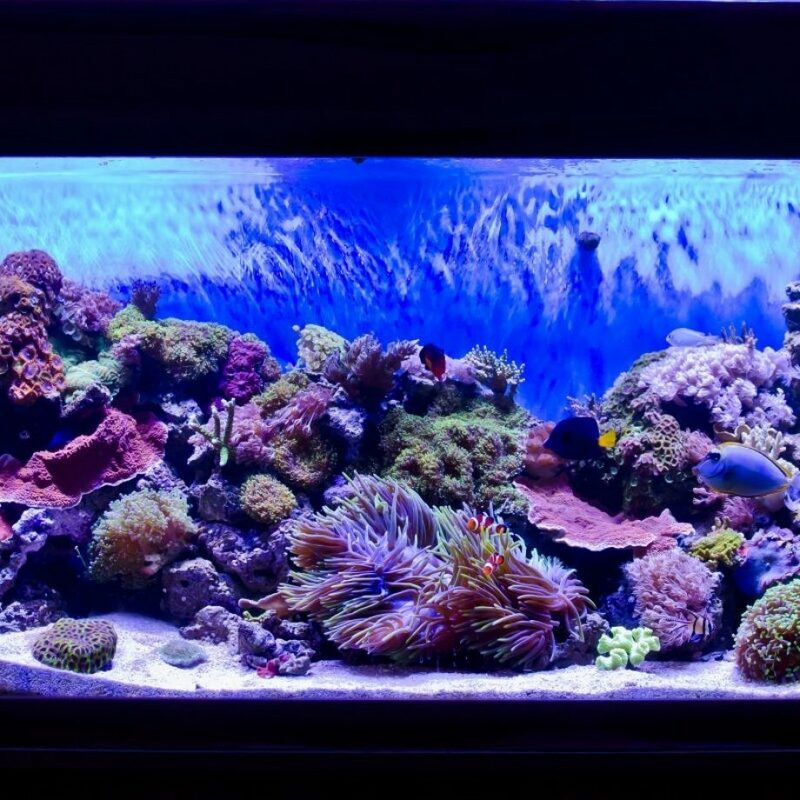 Thanks for looking at my slice of the ocean - its not a biotope, just my attempt at natural looking mature reef… its only 6 months (this upgrade) old so i have some new tank syndrome issues but its getting to where it needs to be! 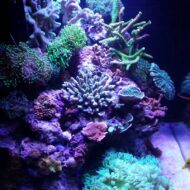 I hope you enjoy it as much as i do! 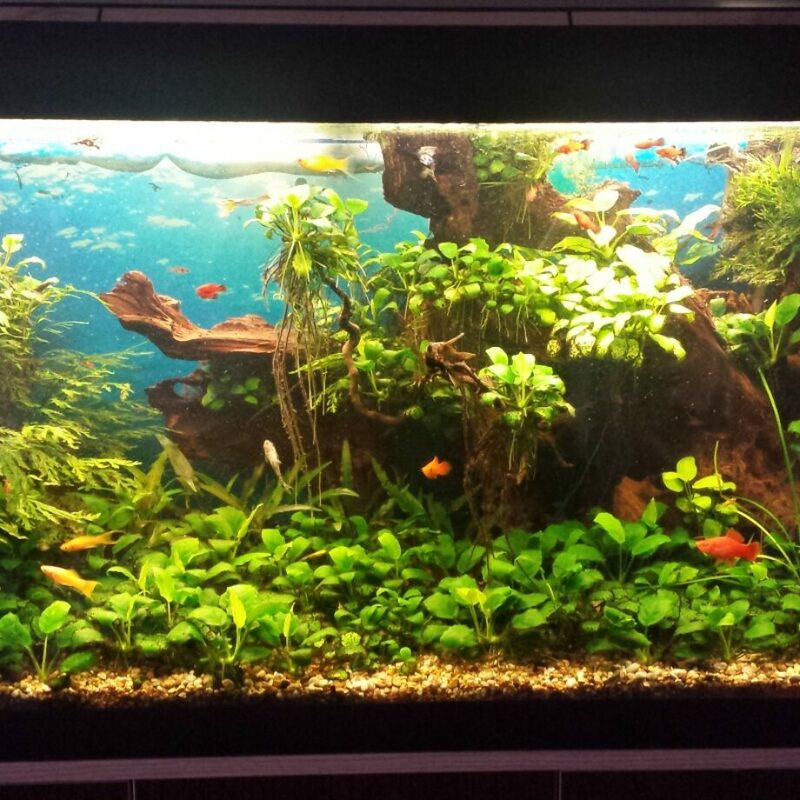 Aquastart 500 with added LED lighting and sodastream CO2 injection. 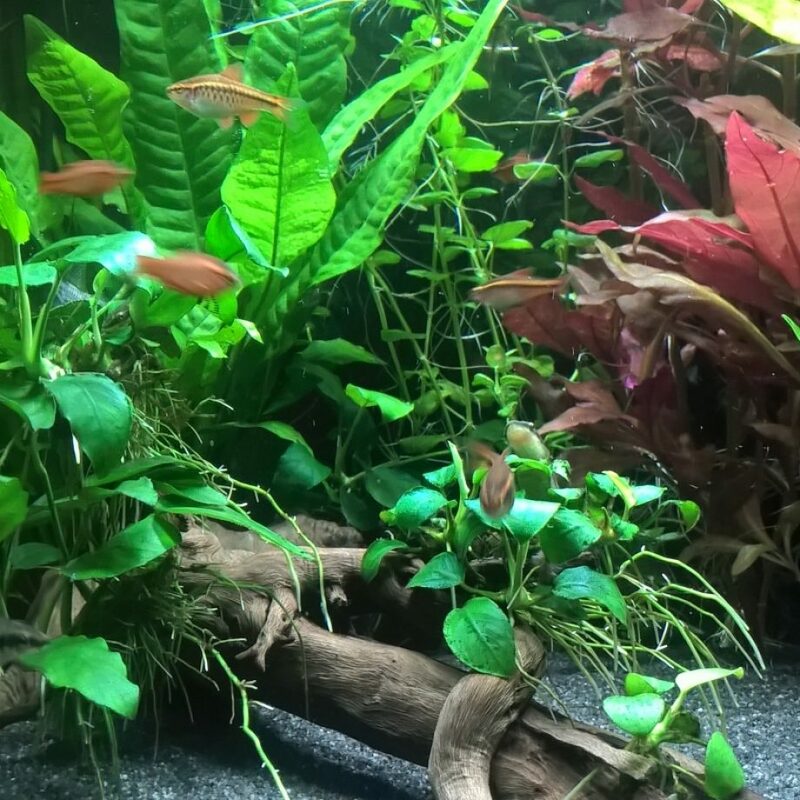 Neon Green Rasboras and Wild Green Neon Tetras plus Red Cherry Shrimp and Malaysian Trumpet and Red Ramshorn snails. 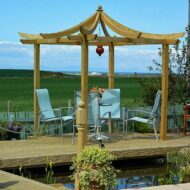 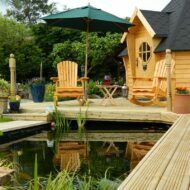 Started as a bare patch of land where a trampoline once stood now tranquil area to sit. 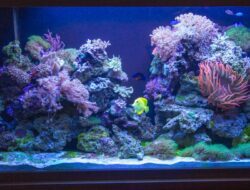 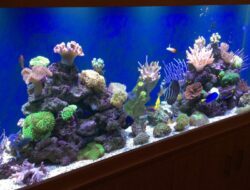 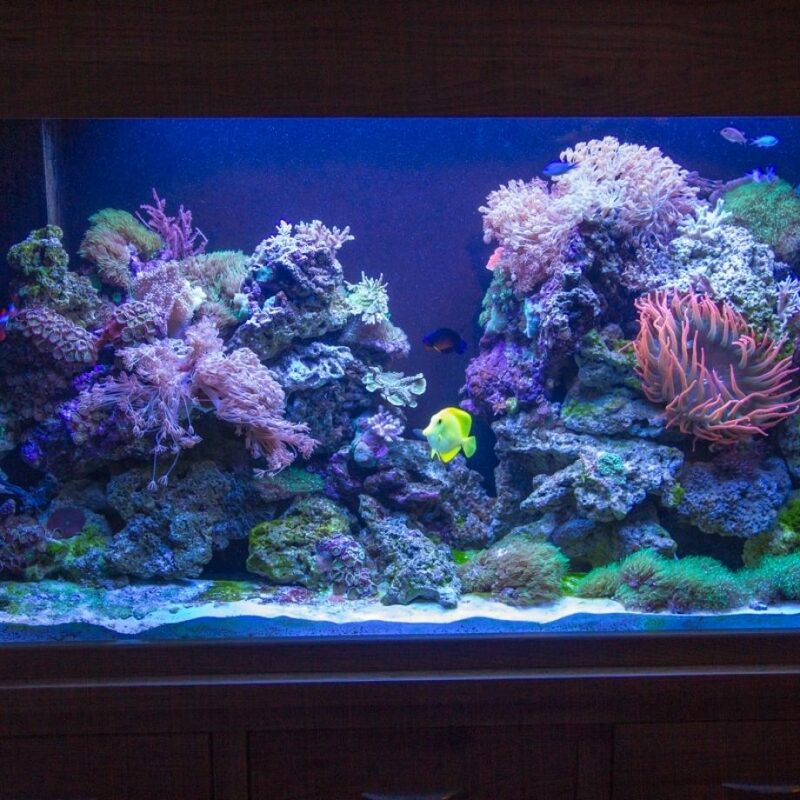 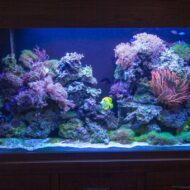 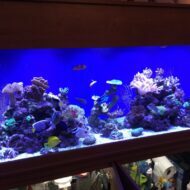 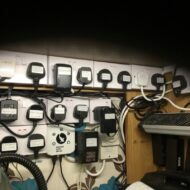 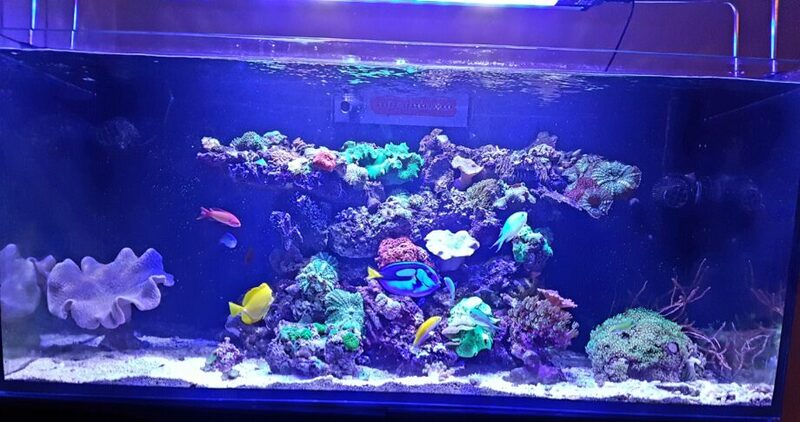 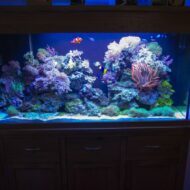 700 litre reef tank, has been set up for 6 months now, 2 x MP 40 power heads, 5 x AI Sol Blue LED lights with AI director control, SenEye plus levels monitoring system, Hydor smart level auto top up system, Waveline 6000 return pump, TMC V2 ozone generator, TMC Reef Skim 2000, react 500 pellet reactor, Bubble Magus 50 reactror running carbon, Bubble Magus 70 reactor running Phos gaurd, TMC model 30 watt UV steriliser, Hydra Stream 2 filter on return line, D and D DC 750 chiller unit. 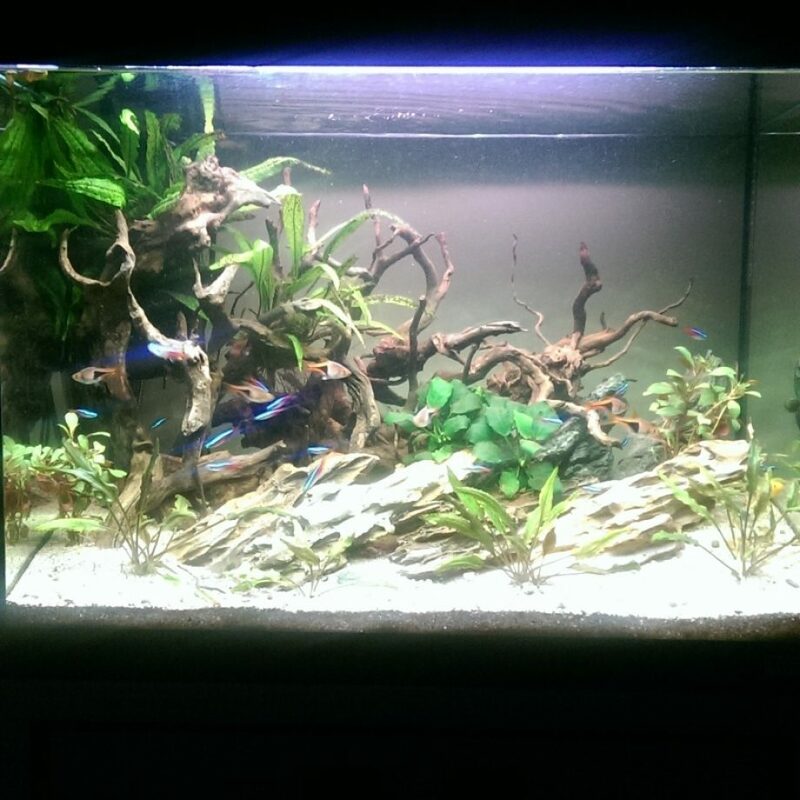 Capacity: 310 Litres Here's my Aqua Oak tropical planted aquarium set up since Sept 2014. 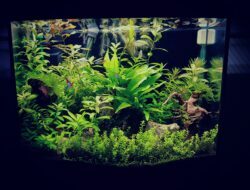 "Tropical Forest": I've been working on it for couple years. 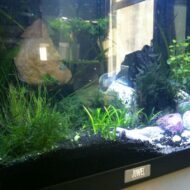 It's community fish tank, with shrimps, clown loaches, neon tetras and other fishes. 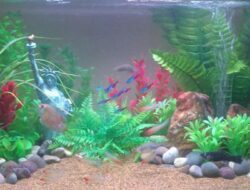 This is my homemade pond which has 8 Goldfish in it.The pond is planted with waterlilies, a horse-tail rush and some oxygenators. 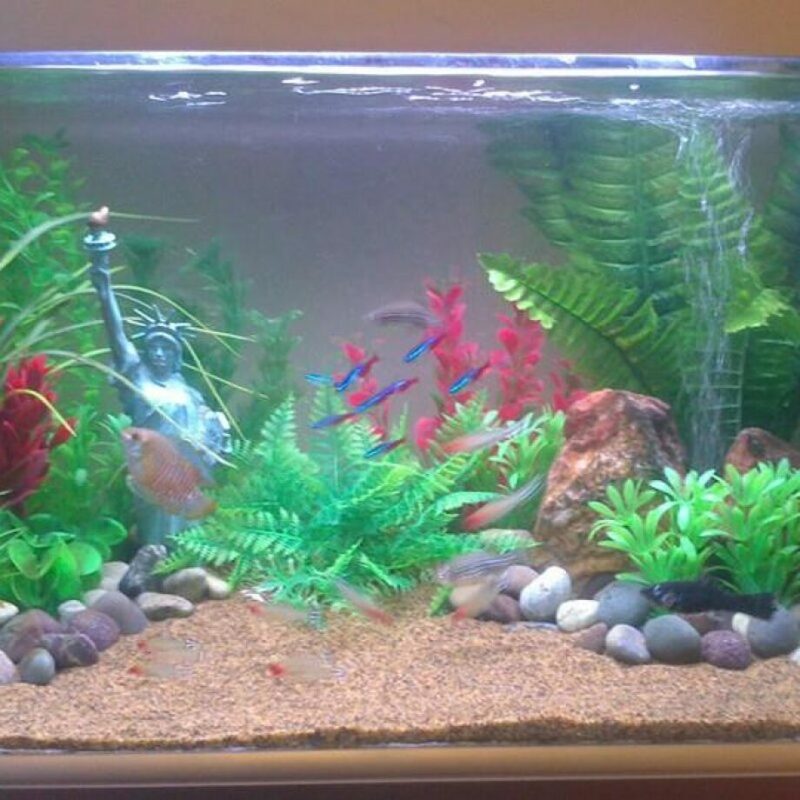 It has a bog filter which I made and is filled with marginal plants and pea gravel. 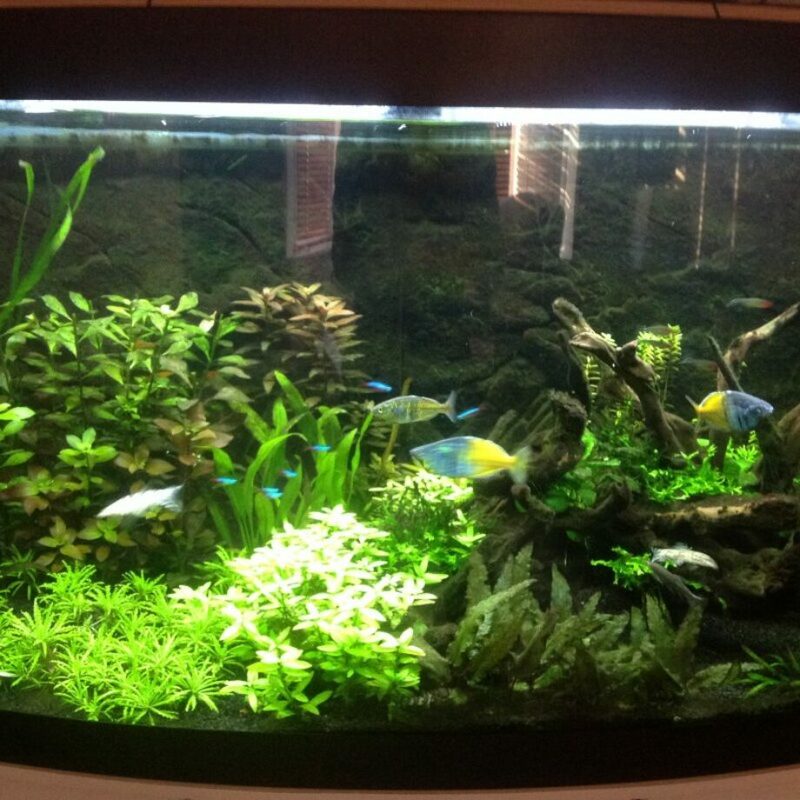 The filter runs out onto a waterfall which helps to oxygenate the water. 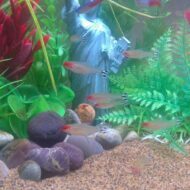 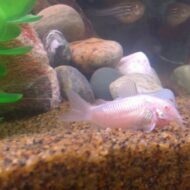 Livestock includes 1 albino cory, 1 dwarf gourami, 3 zebra danios, plus cardinal and rummy nose tetras. Capacity: 56 Litres "The old tree by the park"- my first aquarium and my first attempt at aquascaping. 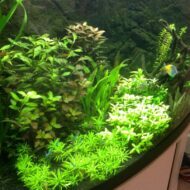 Early days and no additional CO2 yet. 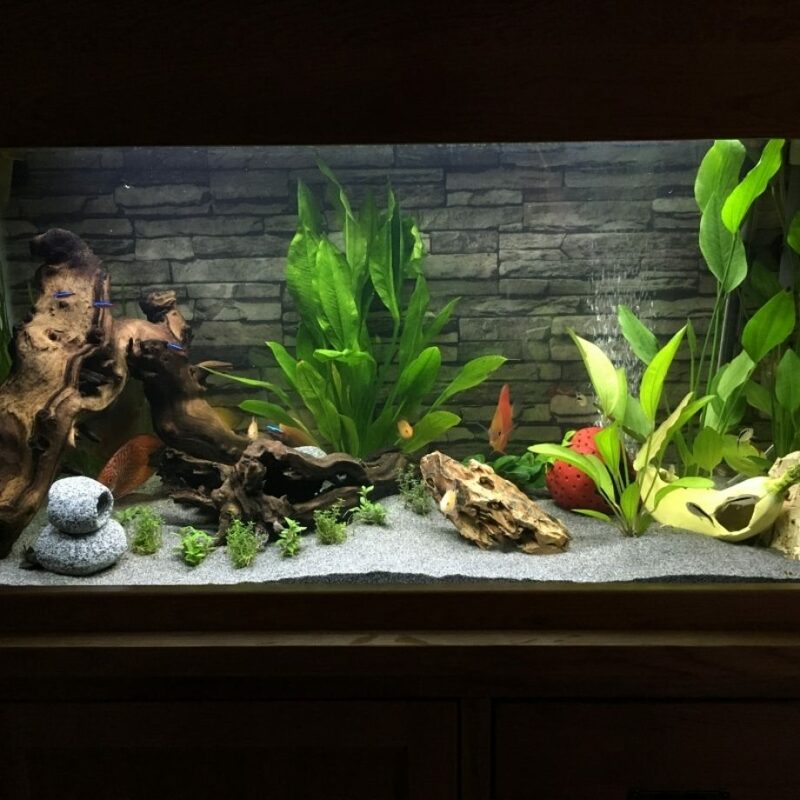 All done on a shoestring budget and mostly DIY fittings and decor. 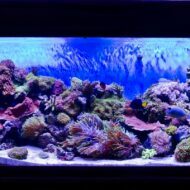 Capacity: 456 Litres My 5ft reef. 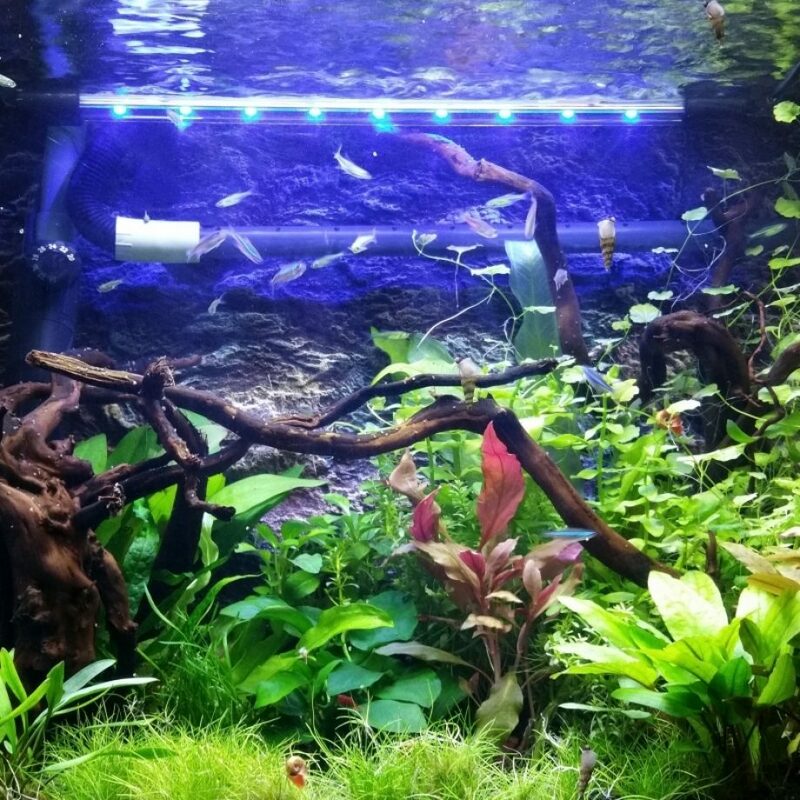 450L, 100L sump, 2x maxspect razor 160w 16k. 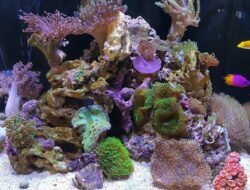 Vortech MP60 powerhead set to reef crest. 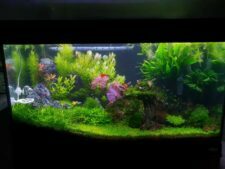 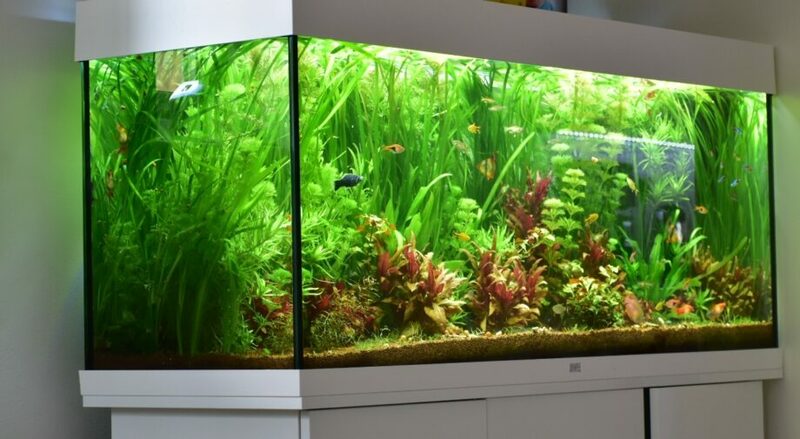 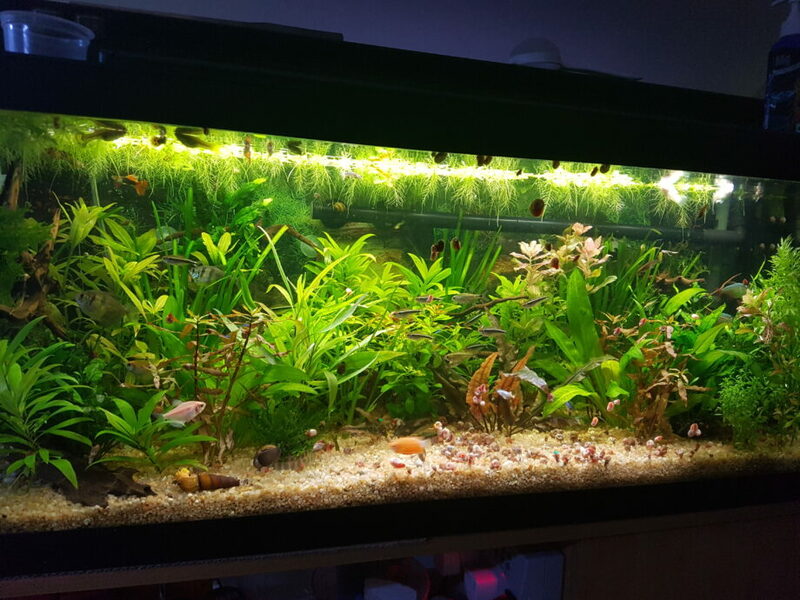 Capacity: 360 Litres Planted Rainbow Tank. 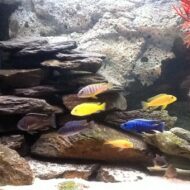 Fish: Bosemani, Red, Western, Neon & Banded Rainbow Fish. 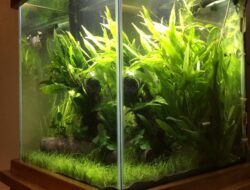 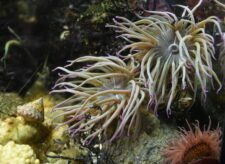 Tropica Plant Growth Substrate base topped with 3" of Caribsea Ecocomplete. 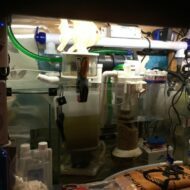 CO2 Injection via large DIY reactor @ 3BPS. 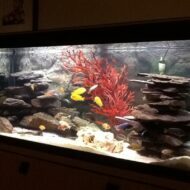 Filter is a Maidenhead Aquatics EFX600.